SolarActive® color change screen print inks for color change shirts and heat transfer designs are better than ever. Bold, vibrant, color change shirts are the very best when Powered by SolarActive® color change screen printing inks. Screen Printers and heat transfer manufacturer’s take notice! 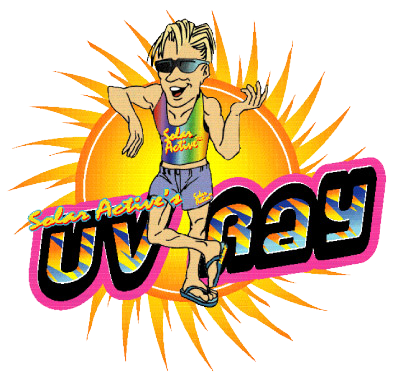 SolarActive® tee shirts make your t shirt designs more fun. Now’s the time to test SolarActive® color change screen print inks for free! Be ready for spring with sun activated tee shirts that add smiles and laughter to a staple in everyone’s wardrobe. SolarActive® shirts make every tee shirt design more fun. All New color change screen printing ink colors are available now. Over 35 explosive color change colors to choose from. SolarActive® will walk you through the color change process. It’s easy to use SolarActive® color change inks. No need to change your current screen printing ink process. Contact the leading manufacturer and supplier of color change technology with the experts at SolarActive®. 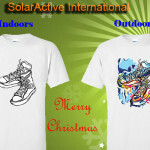 For details and free color change ink for tee shirts and heat press transfers: http://www.solaractive.com 818 996 8690. SolarActive ® UV Jewelry Making beads change color in the sun!